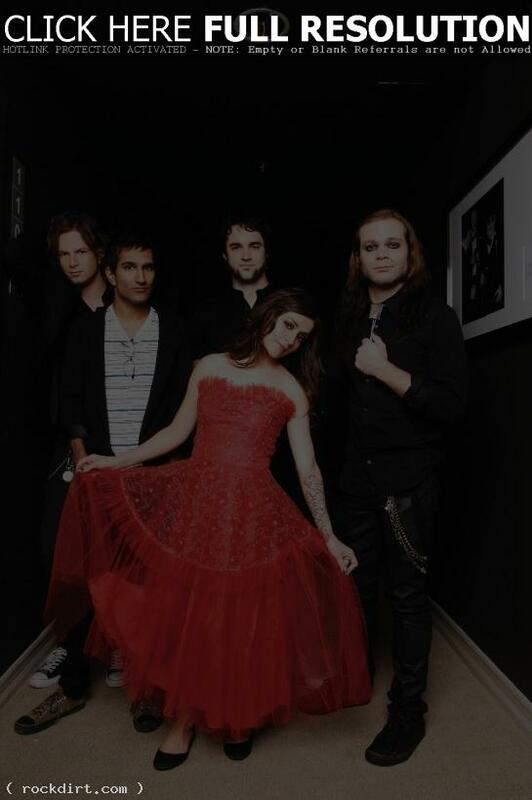 Flyleaf vocalist Lacey Mosley sat down with ARTISTdirect.com’s Rick Florino for an exclusive interview about ‘Unite and Fight’, her collaboration with Orianthi, and more, including if she felt the band is a tighter unit than ever before. “It feels like we’re just comfortable in that place together on stage,” Lacey said. “That’s where we connect more than anything. Obviously, music is something that we all have shared since day one. Sameer [Bhattacharya, guitar] and Jared [Hartmann, guitar] grew up playing together, and we can really encourage each other just by little things. Like you said, it is tighter in a relational way on stage for sure.” Read more. Though rock music isn’t as dominated by men as it has been in prior decades, Flyleaf singer Lacey Mosley says getting respect as a woman fronting a rock band still could get better. “It still is an issue,” she said. “The rock stations didn’t want to play a rock band that was female-fronted. We wanted them to put it on and let the people decide. People loved it. Look at it on the basis of I’m a musician and it’s real, not on the basis of being a woman in a rock band.” Read more. Flyleaf are out with the music video to their new single ‘Chasm’, off the Texas rock band’s second studio album ‘Memento Mori’, out now on A&M/Octone. Watch the Giles Timms directed video via Vevo below. Pat Seals spoke with the Calgary Herald about being a Christian rock band while making an effort not to emphasize their religion. “We are Christians and we are a band,” Seals said. “But what we were leery of was the connotative sense of being a Christian band – a band that only Christians would listen to. We like to think our music is for everybody and our message is for everybody to hear. But we really love what Franklin Graham is doing. The Rock the River shows last year were really special and seemed to resonate with the crowd. It seemed to not be about, ‘Hey, let’s make some money.” Read more. 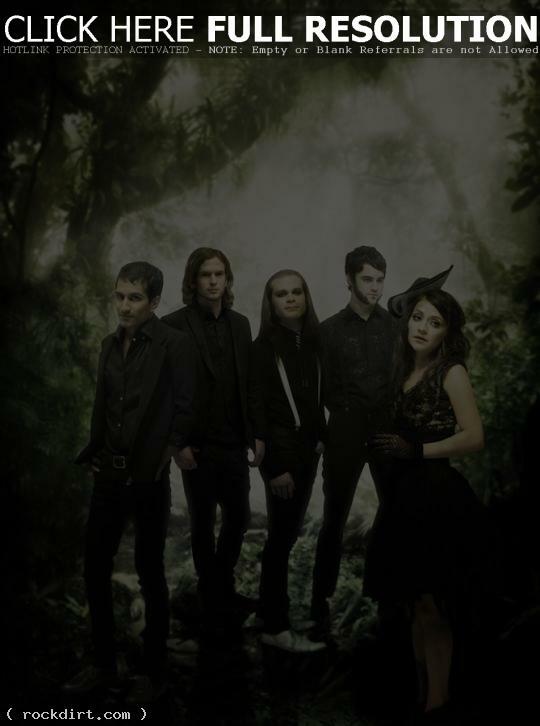 Flyleaf are out with the video to their new single ‘Missing’, the third release from the Texas rock band’s second studio album ‘Memento Mori’, out now on A&M/Octone. Watch the Diane Martel directed video via YouTube below. 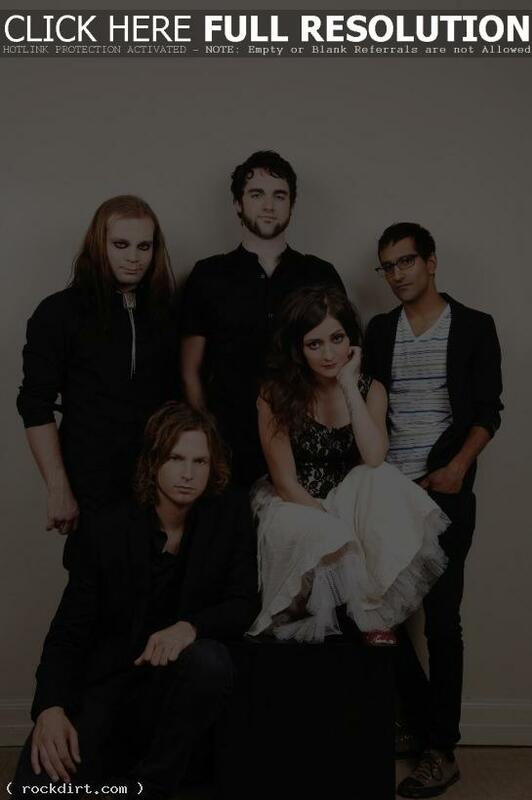 Flyleaf singer Lacey Mosley spoke with Altitude TV about how Joshua Sturm proposed to her. “We went to the lake and he had on this shirt with a pocket on the chest and he put his iPhone in there and played the sone off his iPod ‘The Blower’s Daughter’,” Lacey explained. “He asked if I wanted to dance with him. He tells me this awesome story about before he met me and he knew I was his wife from the beginning… So he’s like I just wanted to ask you, then he gets on his knee. I’m like, ‘Ohh! What are you doing?’ Then he’s like, ‘Will you marry me.’ I’m like, ‘Yes, yes. '” Watch it at YouTube. Tokio Hotel, who perform on ‘Total Request Live’ on Monday. Death Cab for Cutie, who perform on ‘The Sauce’ on Monday and ‘The Late Show with David Letterman’ on Tuesday. Switchfoot, who perform on ‘The Tonight Show with Jay Leno’ on Tuesday. Kid Rock, who performs on ‘The Late Show’ on Wednesday. 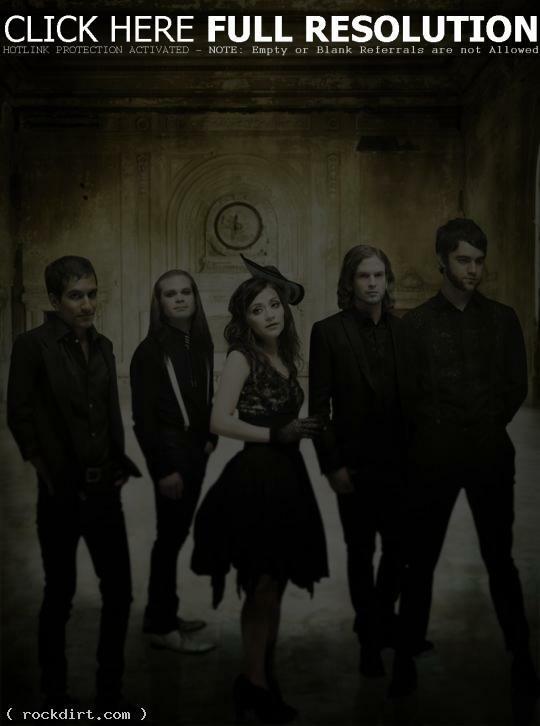 Flyleaf, who visit ‘TRL’ on Wednesday. The Black Keys, who perform on ‘Late Night with Conan O’Brien’ on Wednesday. MGMT, who perform on ‘Late Night’ on Thursday. Everest, who perform on ‘Late Night’ on Friday. Korn, Evanescence, and Flyleaf performed as part of the Family Values Tour 2007 at Shoreline Amphitheatre on Saturday (September 1) in Mountain View, California. Check out pictures from GettyImages. Watch fan filmed highlight clips from YouTube.